Read about our talented board members and how they’re shaping the future changes and advances of ETT. Mark C. McCullough is executive vice president - Transmission, overseeing operations of AEP Transmission Holding Company (AEPTHCO) and its subsidiary companies. As executive vice president, he is responsible for the company’s Transmission organization which manages an asset base of $18 billion and oversees 60 percent of the corporation's annual capex. His organization is the largest owner operator and developer of electric transmission in North America. Responsibilities include P&L responsibility for AEPTHCO and oversight of the company’s field services, engineering, construction, planning, system operations and financial services for the company’s transmission and distribution station assets. From 2010 through 2018, McCullough was executive vice president - Generation, responsible for the management of AEP’s nuclear, fossil, hydro and wind generating units, and Ohio Valley Electric Corp./Indiana-Kentucky Electric Corp.’s (OVEC/IKEC) generating assets. From 2008 to 2010, he was senior vice president - Fossil & Hydro Generation, responsible for directing the activities of AEP´s fossil and hydro generating facilities and three functional areas: plant engineering/environmental services; asset and outage planning; and technical skills and process optimization. 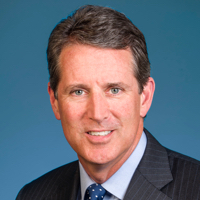 John Cupparo, 55, is president and CEO of BHE U.S. Transmission, LLC. He is responsible for developing independent transmission opportunities and oversight of Berkshire Hathaway Energy transmission joint ventures with American Electric Power in Texas, Pacific Gas and Electric Company in California and Pinnacle West Capital Corporation in the Desert Southwest. Cupparo is also responsible for the Grid Resilience Office, which coordinates the work of Berkshire Hathaway Energy’s businesses to assess emerging risks to the energy grid and to enhance response and mitigation capabilities. Cupparo joined PacifiCorp in 2000 to assume responsibility for information management systems for PacifiCorp’s regulated and unregulated businesses. Since then, he has served in various positions supporting transmission for PacifiCorp and related industry forums before joining BHE U.S. Transmission, LLC in 2012. Prior to PacifiCorp, Cupparo worked for Texaco and Koch Industries, supporting their natural gas, power and pipeline businesses. He earned a bachelor’s degree in computer information systems from Colorado State University. Antonio Smyth is senior vice president, Transmission Ventures, Strategy & Policy. In this role, Smyth is responsible for Asset Strategy and Policy, in addition to his current responsibilities supporting Transmission's Joint Ventures and competitive development efforts. Transmission Asset Strategy & Policy is responsible for oversight of regulatory outcomes at the federal (FERC), state and Regional Transmission Organization (RTO) levels; project siting, outreach and right-of-way; and coordination of financial and strategic matters related to AEP Transmission. 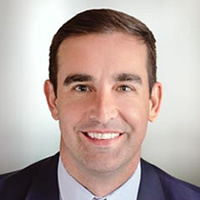 Previously, Smyth was vice president of Transmission Ventures, the subsidiary of American Electric Power responsible for the development, ownership and operation of competitive-regulated electric transmission infrastructure projects across the United States. He is responsible for AEP’s portfolio of FERC jurisdictional electric transmission joint ventures and serves as president or on the board of directors of joint ventures with Berkshire Hathaway Energy, Duke Energy, Exelon Corporation, Westar Energy and First Energy. Smyth has held positions of increasing responsibility throughout the past 17 years within AEP and has worked in the Columbus, Ohio, headquarters and the London, U.K., offices. He has testified as an expert witness on electric transmission matters before the Federal Energy Regulatory Commission and various state regulatory commissions. Prior to his role in the transmission organization, Smyth most recently managed the strategic initiatives organization, which is responsible for corporate strategy and mergers and acquisitions, and the corporate finance organization, which is responsible for debt and equity capital markets and rating agency activities. 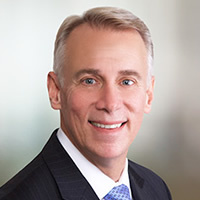 Smyth earned both a bachelor’s degree and master’s degree in economics from Ohio State University, and is a graduate of the Management Development Program at Ohio State University. Smyth is a United States military veteran and serves on the board of the Childhood League Center, Inc. He and his wife, Emily, have two daughters and reside in Columbus, Ohio. Patrick Reiten, 57, is senior vice president of government relations at Berkshire Hathaway Energy. Reiten is responsible for leading the national policy and legislative work of Berkshire Hathaway Energy, a $91 billion portfolio of locally managed businesses that share a vision for a secure and sustainable energy future. Reiten has extensive experience in executive leadership in the energy business. Prior to his current role, he was president and chief executive officer of PacifiCorp Transmission at PacifiCorp, a position he has held since March 2015, managing the West’s largest single owned-and-operated transmission system. Prior to that role, Reiten was President and CEO of Pacific Power, an electric energy company serving about 750,000 customers in California, Oregon and Washington. He was appointed to that role in September 2006. Before joining PacifiCorp, Reiten was president and chief executive officer of PNGC Power, an energy cooperative located in Portland, Oregon. He was appointed to that position in May 2002 and was responsible for the overall operations of two corporate entities (PNGC Power and Power Resources Cooperative). Prior to PNGC Power, Reiten served as an aide to U.S. Sen. Mark O. Hatfield, responsible for many issues, particularly those associated with the U.S. Senate Energy and Natural Resources Committee. He also served as an official in several different capacities at the U.S. Department of Interior, including deputy director of the U.S. Bureau of Land Management. Reiten has served in many director or board leadership roles in community and industry groups. 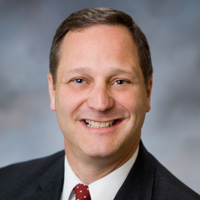 He is the immediate past chair of Associated Oregon Industries and is co-chair of The Freshwater Trust; he also serves on the board of directors of the American Council on Renewable Energy, Legacy Health System and Electric Transmission Texas LLC.